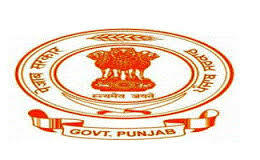 Punjab Recruitment 2015: Government of Punjab has been invited the application from the eligble aspirants for the post of Revenue Patwari posts. There are totally 1277 jobs in Punjab Revenue Patwari vacancy 2015. Interested applicants must log on the official portal punjabrevenue.nic.in. There you can get the link for the Punjab Revenue Patwari notification 2015 and apply the application form. We provide the direct link for the details of advertisement and Punjab Revenue Patwari application form 2015 on our Indrajobinfo.co.in. Candidates should take the look at the official notification before start the online registration for Punjab. The applicants who are looking for the jobs in Punjab can apply the Punjab Patwari jobs 2015. The start date of the online application begins from Aug 24th 2015 and closing date of the application on Sep 15th 2015. The application are invited through the online mode only. Candidates are advised to like our Facebook page for regular job updates. This is good opportunity of the candidates can use this recruitment. The applicants have to click the given link to apply this Punjab Patwari notification 2015 before the last date. The detail of the recruitment like educational qualification, age limit, selection procedure and how to apply information is available on this page. Eligible candidates can apply the Punjab Patwari recruitment 2015 by using the given link. The Punjab Revenue Department has announce the notification to recruit the eligible candidates for the actual requirements on every year. The candidates age limit must be not less than 21 years and not more than 37 years as on the date of the application. The upper age limit relaxation for the applicants as per the govt norms. Applicants who have pass the Bachelor Degree in any discipline or equivalent qualification from any recognized university/institute. Selected aspirants will be based on the performance in the written examination. Then qualified candidates can get job in Punjab Patwari vacancies 2015. Scale of Pay: Rs. 10, 300/- to Rs. 34, 800/- plus grade pay Rs. 3200/-.